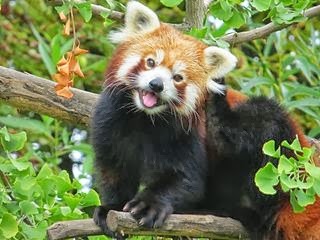 Red panda (Ailurus fulgens), or lesser panda and red cat-bear, is a small mammal native to the eastern Himalayas and southwestern China. Classified vulnerable by IUCN. Photo found at Wikipedia. Download several sizes.